Science and scientists have found themselves in conflict with powerful interests since Galileo, but perhaps never before have they been under attack on so many fronts. When it comes to climate change, vaccinations and the causes of disease, genetically modified organisms and even evolution, it’s hard to tell where science ends and vested interests, politics and wishful thinking begin. Or is it? 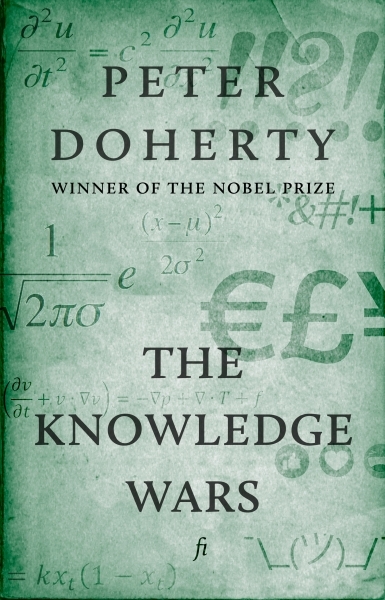 The Knowledge Wars examines the nature of scientific knowledge through the controversies that have called it into question, charting the fractious relationship between knowledge and power over the centuries and into the modern day. With passion and humour, through anecdotes and case studies, it celebrates curiosity, urges both rigour and skepticism, and equips us to make up our own minds. “A hugely important book for those living in the data-saturated 21st century.” — Tim Flannery.